In virtually all digital environments, passwords, codes and personal identification numbers (PINs) have merged as the veritable currency by which individuals gain access into a company's most critical systems. They also serve as the organization's first line of defense and are critical to the overall success of a security plan. 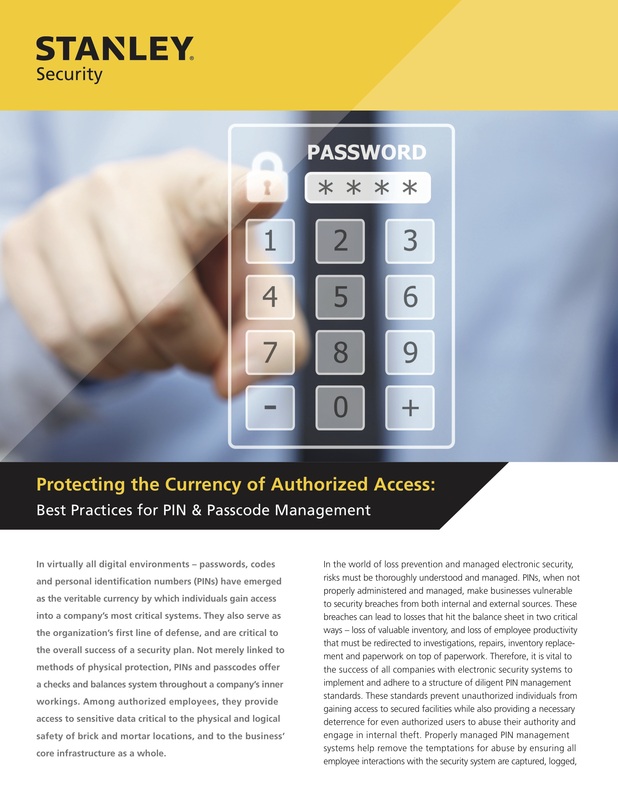 Read more to learn about the best practices for PIN & passcode management for your organization.